Emmy and Bradley Hardee were married on Saturday, June 10, 2017 in a traditional ceremony at Tabor City Baptist Church in North Carolina. Living on the border belt, it is not uncommon to cross back and forth from one state to another several times on any given day. Following that fashion, the beautiful reception was held at the groom's family home 5 miles across the state line in South Carolina. 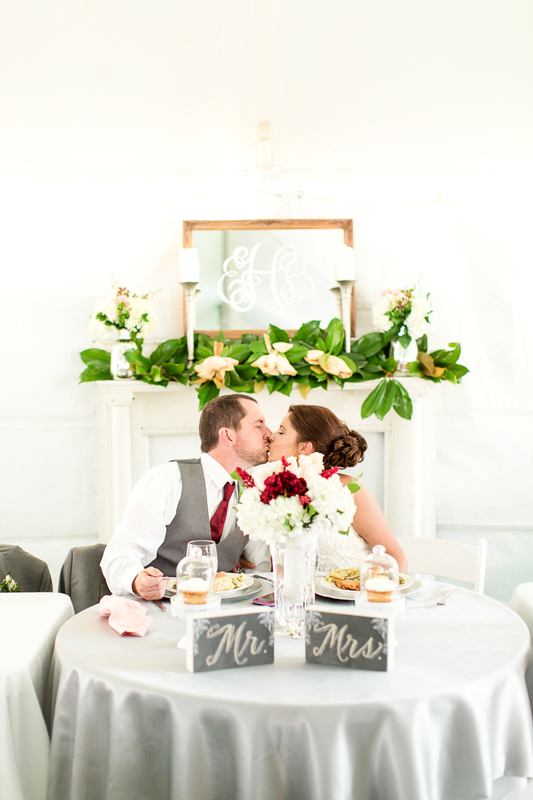 Guests were swept away in hues of marsala and mauve and fresh magnolia branches which adorned fireplace mantles and the tops of vintage furniture pieces. 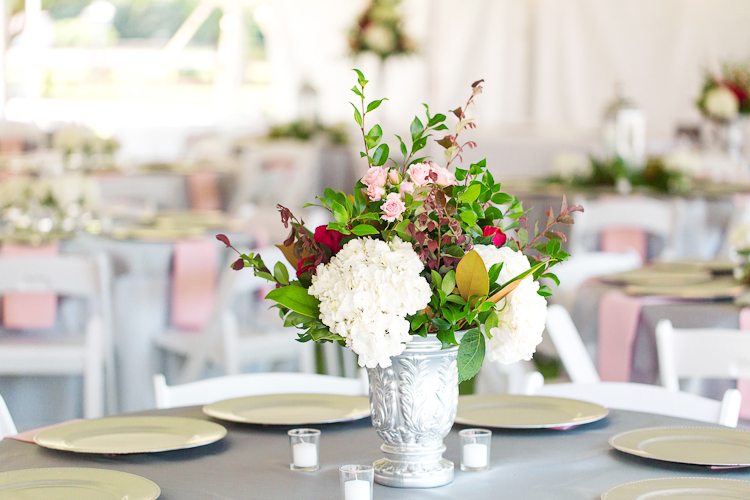 The soft tones set the mood for the wedding day that ran as smoothly as possible. Emotions were high for the bride and close family as the absence of her father, who suddenly passed two years ago, lingered among the typical traditions of a wedding day. Subtle, yet sentimental tribute was paid throughout the day such as the broach and locket that hung from the bride's wrap on her bouquet--or her father's Bible, with its own special boutonnière on top, escorted to its own center pew at the front of the church at the start of the ceremony. Emmy's brother, Brian, shared a heart-felt moment with his sister during a surprise first look immediately before walking her down the aisle to her groom. At the reception, guests enjoyed a traditional Southern meal accompanied by cake and, wait for it, a loaded ice cream bar! The bride and groom each had their own cupcake in the cutest glass covered plates I've ever seen. From start to finish Emmy and Bradley's wedding day was a dream!